What inspires you to do more than you thought you ever could? What inspires you to dream bigger, strive harder, and reach higher than you ever could have imagined? In trying to answer those questions and the all-important final question, “What inspired you to DO what you DO?” I need to start with the WASP, beginning with the first WASP in my life, my mom. Imagine being around (or more appropriately surrounded by) a determined, dynamic, passionate, patriotic, smart, spunky, stubborn (but in the good way), amazing, opinionated, optimistic, encouraging, unstoppable woman — and I’m just getting warmed up! I could go on. Long story short, imagine meeting and listening to 100 or more women with those same attributes? Yes, all the WASP I’ve met are just like mom, completely, utterly and absolutely inspirational. Once you meet a WASP, the one thing you do not want to do is to disappoint them, and you find yourself striving to exceed their expectations. Why? Because the inspiration that comes from the WASP is not just about flying. It is about courage and patriotism, and about doing your absolute best while you are being scrutinized, weighed, measured and tested by some who just might be rooting for you to fail. It’s about rising above the ordinary and doing the “extra” ordinary, about commitment, persistence, honor, sacrifice, service, faith, and living a life for the cause greater than yourself. My mission to share the inspirational history of the WASP began with my big idea, “Mom, let’s interview a few of the WASP in Texas and share their stories online.” “No,” said mom, “if you interview ONE WASP you need to interview THEM ALL.” “Mom,” said I, “That’s impossible.” She quickly shot back, “With God’s help, nothing is impossible.” Guess she told me! And so it began. Our partnership and our journey across 19 states, 110 interviews, countless web pages, and outside the box projects later. Almost twenty years have passed, and I am certain of one thing; I am still inspired by the WASP. Through it all, I have been guided by God’s hand, my mother, the WASP’ gentle encouragement and participation, and the spirit of the WASP. Needless to say, I have never walked alone. I’ve been uplifted by these American heroines, and by their stories, their service and their humility. My wish for all of you is that the spirit of the WASP encourage you and inspire you to ‘fly' higher than you’ve ever flown in absolutely everything you do. If you need help, ask a WASP! Nancy Parrish is the Executive Director of Wings Across America a digital history project located just off the campus of Baylor University in Waco, Texas. 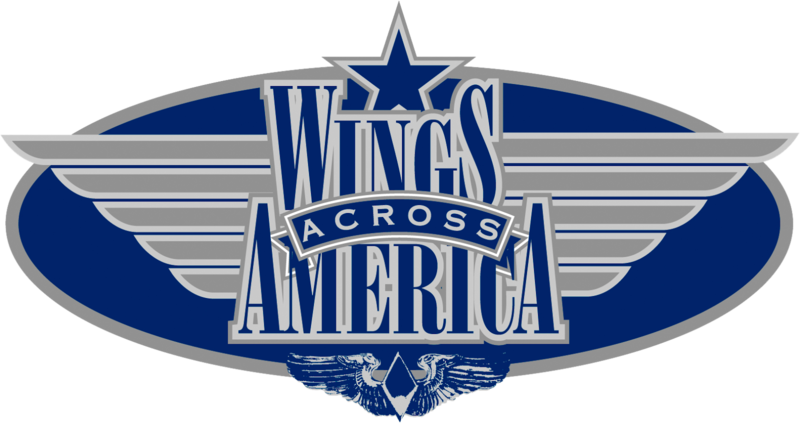 If you'd like to know more, visit wingsacrossamerica.org!